Westmoreland SMOOTH RAYS, among others! Amethyst Westmoreland SMOOTH RAYS 8.5 in. bowl has unpatterned exterior. Westmoreland SMOOTH RAYS in Green, 8.5 inches. Westmoreland 9 inch SMOOTH RAYS on Milk Glass..
Amethyst Westmoreland SMOOTH RAYS, 9 inch. 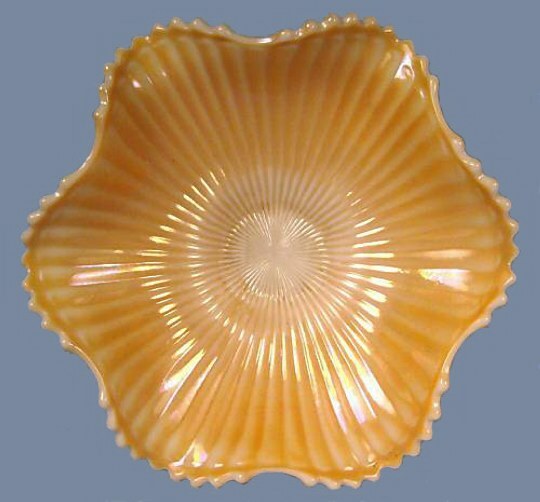 Westmoreland SMOOTH RAYS: This company utilized at least two different edges for bowls in this early pattern. Beyond 1909-1910, the Rays patterns are not found in the Butler Brothers Catalog ads. 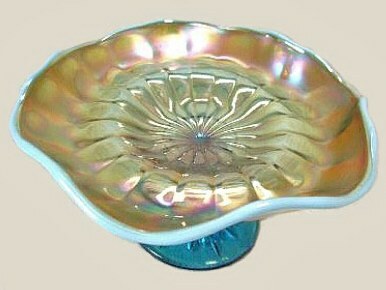 Blue Opal bowls are known in the 9” size, along with peach opal. The blue opal compotes are seldom sold at carnival glass auctions. Left - Westmoreland SMOOTH RAYS Compote - 6.5 in. diam. - Blue Opal. 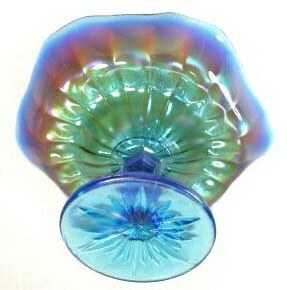 Right - Westmoreland SMOOTH RAYS Compote Exterior, 3.5 in. high. TREE BARK Plate - 8 in. 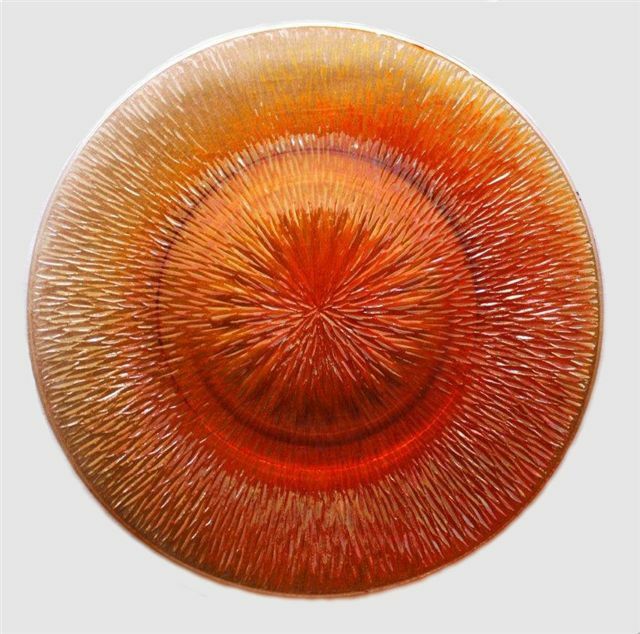 diameter x 4.5 in. Has a starred marie. TREE BARK Plate: Curtis’ believe this is an example of Westmoreland production. As we have previously stated in our TREE BARK segment already posted on site, Jeannette is another possibility. 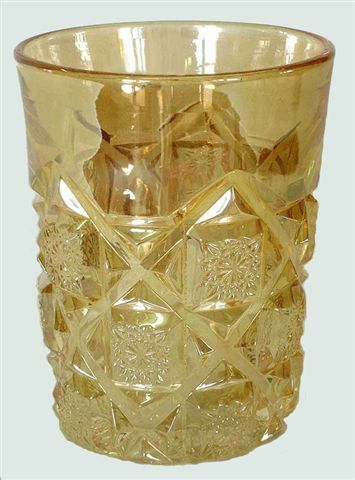 Transition patterns from the carnival glass era into Depression-type glassware were very likely produced by two or three companies. Sales are based on desirability and this alone could bring about close similarity in production designs. P.O. PEARLY DOTS 8.5 inch Bowl - Courtesy Jerry & Carol Curtis. 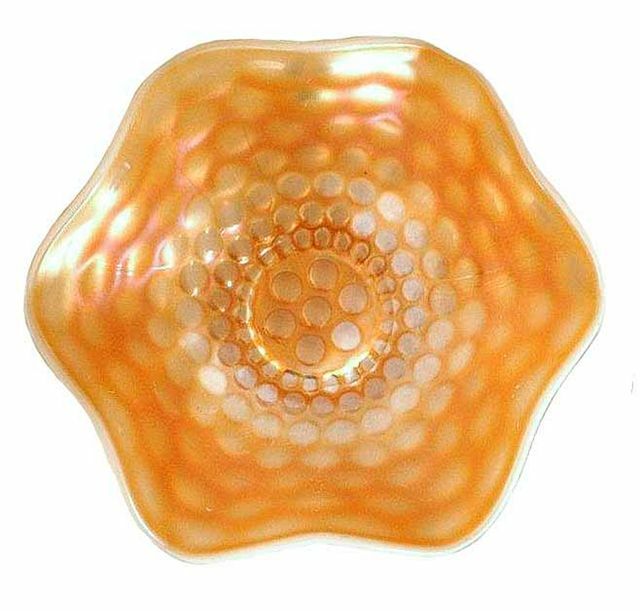 DAISY WREATH Bowl: A whimsied marigold vase created from the bowl mould is known. 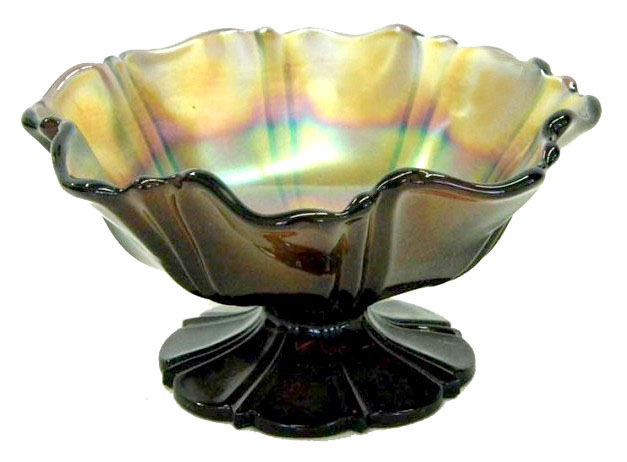 The 9” bowls can be ruffled or ice cream shaped. Blue opal, marigold, marigold on milk glass and peach opal examples exist. 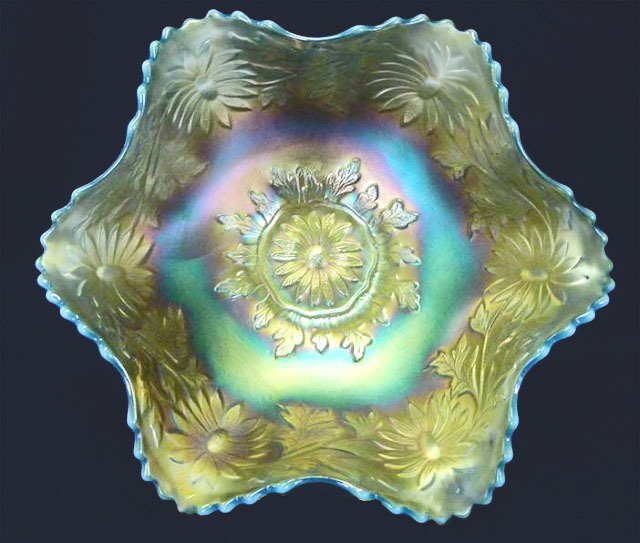 There is at least one known blue opal plate. PEARLY DOTS Bowl: The absence of stippling on the dots separates this design from Fenton’s Coin Dot. Blue opal, amethyst marigold and peach opal bowls, along with compotes in the same colors are from Westmoreland. 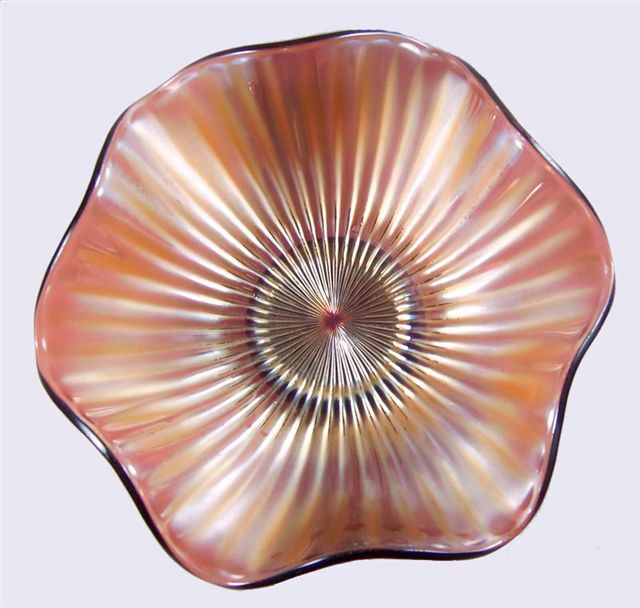 An occasional amethyst 9” plate is seen. Overall, the pattern is not plentiful. 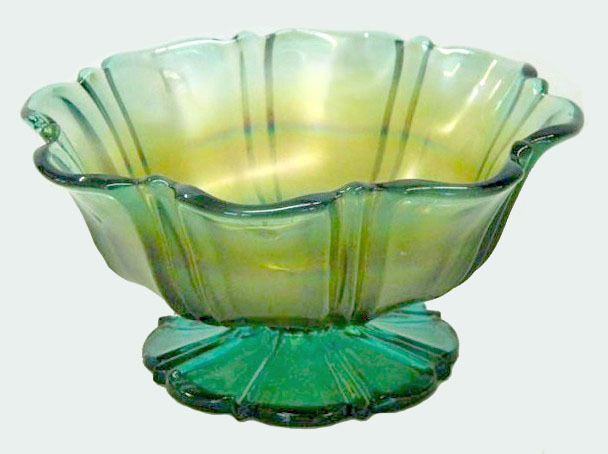 Teal, aqua, green, and amber examples are found in the bowl shape. 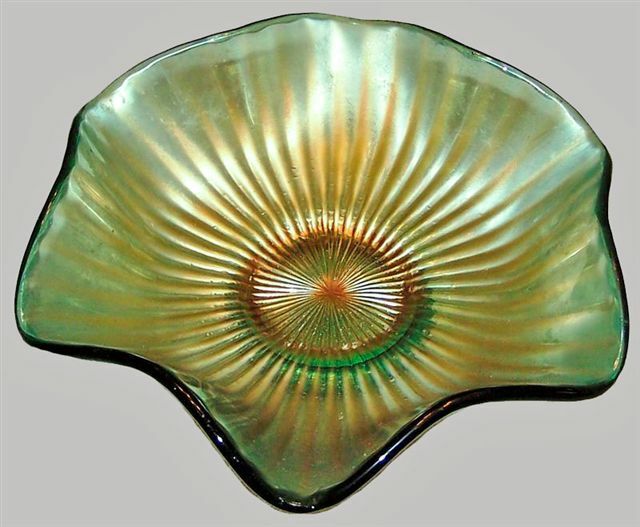 Some rosebowl shaped examples are known. Teal-Green TWO-SEVENTY Compote. Courtesy Seeck Auctions. Amethyst TWO- SEVENTY Compote - Courtesy Seeck Auctions. 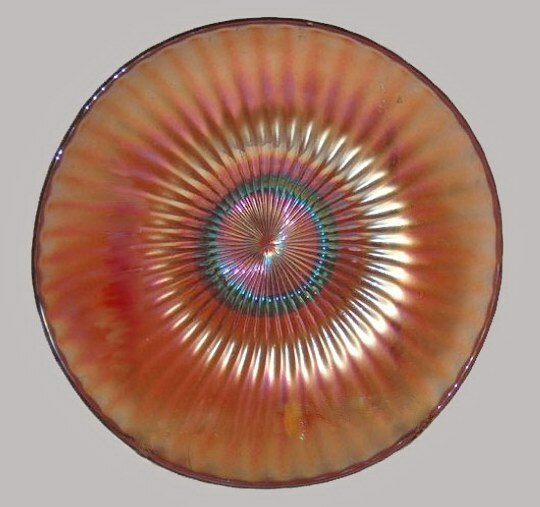 TWO-SEVENTY: Here is another pattern not available very often in Carnival Glass auctions. It has a 6” diameter across the open top. Amethyst, aqua, blue opal, marigold/milk glass, peach opal and teal-green colors are known. In 1 John 2, the apostle John contributes to the protection of believers from heresy by showing them examples of counterfeit Christians and teachers. One of the signs of the last days is the coming of antichrists (1 John 2:18). Antichrists are those who claim to have His power and authority but don’t, or those who reject and oppose Him and His teachings. They depart from the fellowship (verse 19) They went out from us, but they were not of us; for if they had been of us, they would have continued with us; but they went out that they might be made manifest, that none of them were of us. They deny Jesus as the Messiah (verse 22) Who is a liar but he who denies that Jesus is the Christ? He is antichrist who denies the Father and the Son. They draw the faithful away from Jesus (verse 26) These things I have written to you concerning those who try to deceive you.